Employee & Customer Experience What do I do with my data? One of the things that companies often struggle with is their data; how to use it and how to segment it properly. 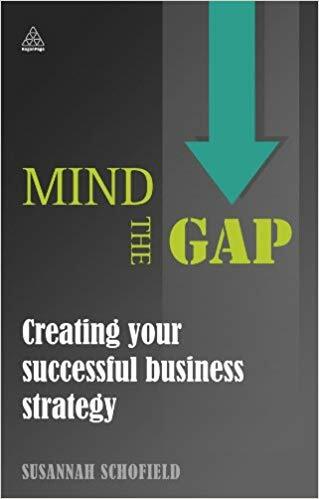 In this lesson; Susannah Schofield, author of ‘Mind the Gap’, discusses the importance of companies knowing what they need to measure and why. Grant Leboff: One of the things that companies often struggle with is their data, and how to use it and segment it properly. So have you got any insights that have come out of your work that you could share with us with that? Susannah Schofield: I think data segmentation is really, really difficult, it’s lies, damn lies and statistics isn’t it? And I think it’s so hard to understand. My advice would be, know what you want to measure, because when you make those assessments and those judgments, that’s what you’ll get and then really, really be totally on un-assumptive. So when you’re in an organisation and you work in it, you tend to make the assumptions… Oh, that’s telling us that because… so actually, for us, and we go in and run a Dice Matrix it’s lovely and we actually say to the company up front and tell us, tell us roughly what you do, tell us the tone of how you speak to your people and your customers. Do you call them clients? Customers, but it’s as basic as that. Then we’ll write the questions, make sure that those appraisals are approved, but then we step away and we almost don’t want to know. We don’t want to know what’s going wrong here or what’s not happening there because that’s the insight that’s come from internally and I think a lot of data analysis is done with the preconceived assumption of what the result will be. So when you look at it, the bit that jumps out is a bit that confirms what you know and that’s the bit you then focus on, because it’s reassuring, and our human brain works to say, ‘Oh, I recognise that. That’s an issue. That’s the mistake. Therefore I must address that and I acknowledge it because I feel comfortable with it’. Whereas actually, all the statistics underneath that are the bits that are so crucial and the bits that nobody’s looking at because they’re not being recognised. So I think for me, when it comes to looking at data, try and look at it fresh. If you can’t, get somebody else to have a look at it, even if it’s just a skim over to say; What jumps out at you? What are the things that make you say; Oh, that’s interesting – because that’s the bit that drives real change and drives real intuition into an organisation, and especially if you’re going through change or your customers are – you know – there’s something strange happening – that’s the way to profile for sure. Grant Leboff: So would you show us one of the problems that companies have with data generally? Would you almost say that every company has to get an outsider instead look at their data, because otherwise the danger always is, it doesn’t matter really in the marketing department or whether you’re in the operations or whatever it is. When you start looking at data, you tend to view it from a particular angle and then actually, the value that’s really there gets missed? Susannah Schofield: I think there was some truth in that, but I also think we’re awash with data now. It is everywhere. If you go back 10 years ago and you couldn’t have told me hardly anything about myself. You know the best was about the TESCO club card from Dunnhumby that could say I drink too much of a weekend and my husband likes Fosters and all the silly things that I buy – I’ve got a penchant for chocolate – it’s those moments that come down. But actually, when you start looking now, you’ll know today just from the touchpoints within my life that I’ve sent emails, I’ve driven here from my sat nav, my phone is bleeping out, the radar… The whole of me, you can piece my day from the moment I woke up to the moment I came back, you’ll even know from my Fitbit, the steps I’ve taken, what I’ve eaten and what I’ve plugged in, what I’ve… Everything is out there. There is so much data now that there’s too much. And where we used to say, oh right, our customers are ABC1 demographic, they earn this for a living, they do that, they looked like this. We can’t do that anymore. We can’t differentiate down to an individual to say this is what they do, this is probably who they support with football…. Can’t do any of that, because we have so many data sets that pull us all into being utter individuals that actually, that then just becomes too much. So yes, you’re absolutely right, It’s too internal, but also there’s this huge risk that there’s just too much of it. And what do you profile? Grant Leboff: So if we’re so overwhelmed with data, which I think is true, how does a company – when you work with them – define what they need to know? Because sometimes, companies genuinely aren’t sure anymore. Susannah Schofield: I think for me it’s really, really clear strategy. Why do you need to know it? What are you going to get out of it and what are you going to deliver from it. And if you can get those three things… ‘Why are we finding this out?’ and if someone says, ‘Oh, because it’s a nice to know’, let’s not know that then, because we’re just going to go down a path that’s not… We need to know it because we’re thinking of developing this product. This is who we believe the market is… so therefore we need to understand this about it. So I think always start with an objective to really understand why you’re drilling down into that data and then if you start to feel that you’re suddenly on the underground map where you’re not ringing round anymore, you’re going off on different tangents and often different routes and you’ve left the Circle line, come back, come back in collectively, get back together again. Make sure that you are addressing all of that data for a reason, and what’s the driver out of the back of that.